Here is my latest commission. 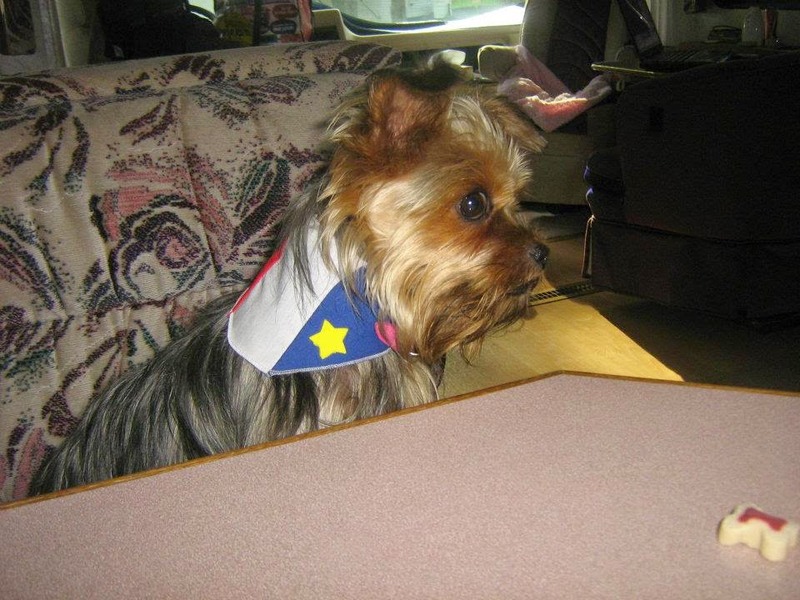 This one is a version of Abby, a beautifull Yorkshire Terrier. My little needle felted friend will have the pleasure of traveling all the way to New Brunswick to meet her new family. Here are some pictures of her. I knitted a colar to add more detail and made her little Acadian scarf because I though it was adorable. Here she is! 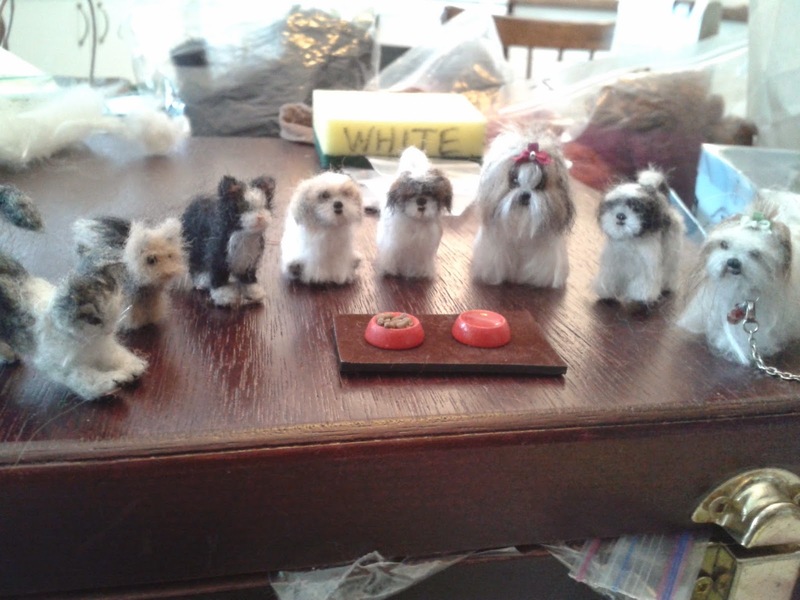 Here she is meeting some of the other little felted friends.